SLING HOLDS YOUR BABY ABOVE WATER so they do not become submerged or get water in their ears. 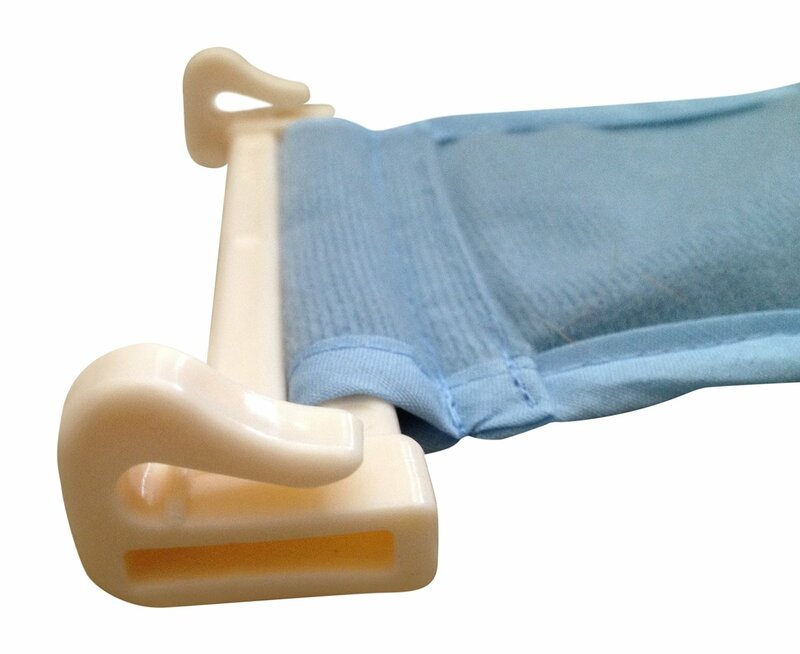 Your infant will receive gentle support from this hammock insert at whatever depth you choose in the tub so you know they are safe. If you feel your Karibu tub is too large, this sling net will enable you to use is it as your infant grows into a toddler. 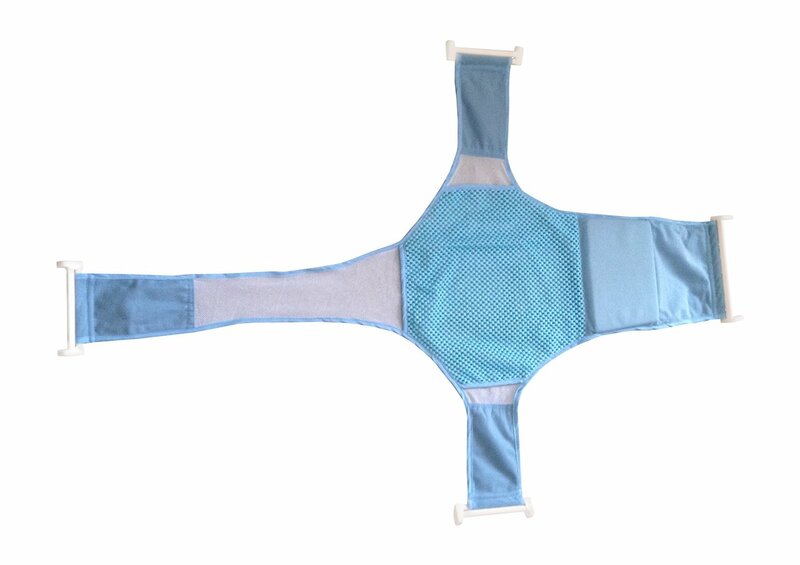 SECURE ATTACHMENT AND COMFORTABLE MATERIAL - Four point attachment ensures ultimate mesh support liner for their back and neck so they are more calm and comfortable while you wash them all around. Made from soft cotton material that conforms cozy around your baby's body. 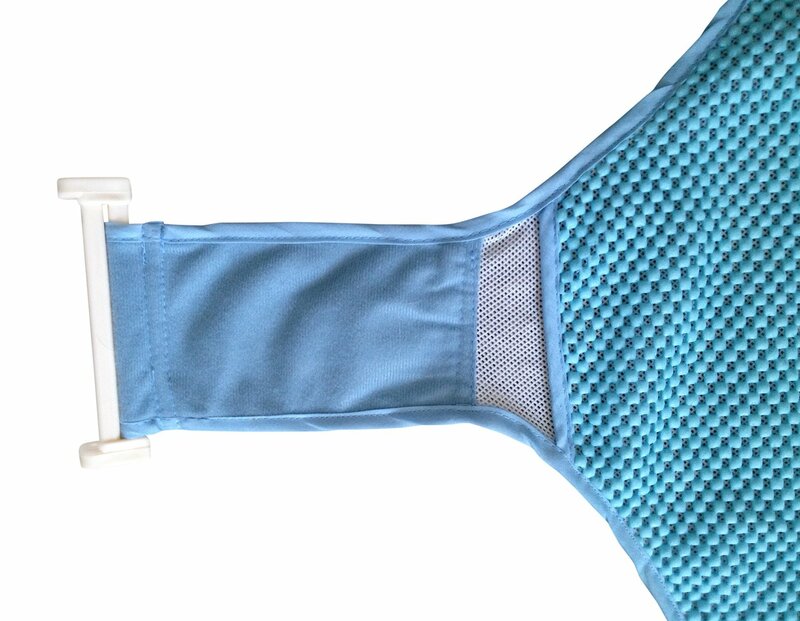 MAKE IT EASIER TO BATHE YOUR BABY - Touch all the hard to reach areas now that you have the ability to reach under and below them with your sponge as they are in this sling. Let this sling be the extra hand you've been wanting while you wash your little one. SAFE DESIGN AND CONTOURS matches many tubs on the market - always a compliment grabber and a great color match for your tub. Much more comfortable than a scratchy sponge pillow pad that grabs their skin. GET MORE VALUE FROM YOUR TUB - This Sling's Strap is a replacement to fit many tubs, including Karibu, BabyTrend, Aojia, Safety 1st, Fisher Price, The First Years, Primo and many more tubs. Easy latches clip around any baby bath tub with a lip. Sling size is 26.7" x 22.8". 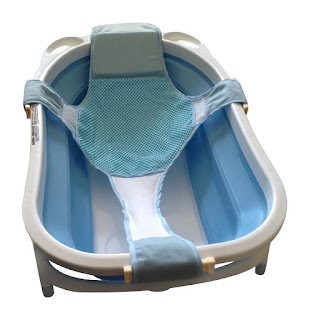 Sling works great if you have a tub that is too large for you infant, if you want to provide your infant with the ULTIMATE support in taking a bath, or if you are thinking of getting a baby bath and want to bathe your little one the SAFE WAY. Get more value from your existing tub by making it easier for you to bathe your little one! WILL IT FIT MY TUB??? It's very likely this sling will fit your tub because it's a universal fit. However, if it doesn't, simply return it to Amazon and get your money back. Seriously - this is a Fulfilled By Amazon (FBA) product. You're guaranteed to get your money back no questions asked. Order risk free and make your baby's bath time safer and easier. I was happy to get to try this Baby Bathtub Seat Support Hammock Net -Infant Bath Tub Sponge Pad by Quik Solve. As soon as I took it out of the package, I could see it is of good quality. It is very sturdy yet the material is very soft on all parts of the insert. It is very easy to snap onto the baby tub and it fits very well. I really like that it cradles the baby securely yet I am still able to get the baby clean. I think this is a nice product for newborns and infants who are too small to sit in the baby tub. I like that I can remove the cloth sling and hang it over the shower rod to dry and put the baby bathtub away. It is very convenient and I recommend it.